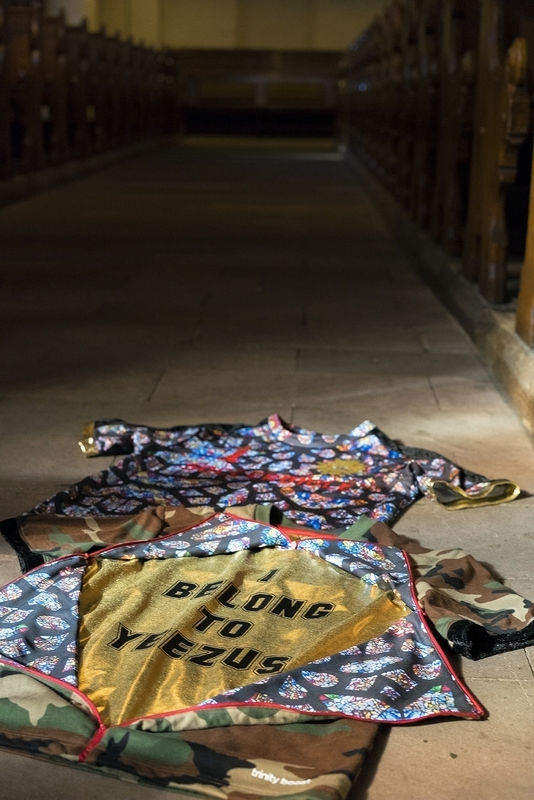 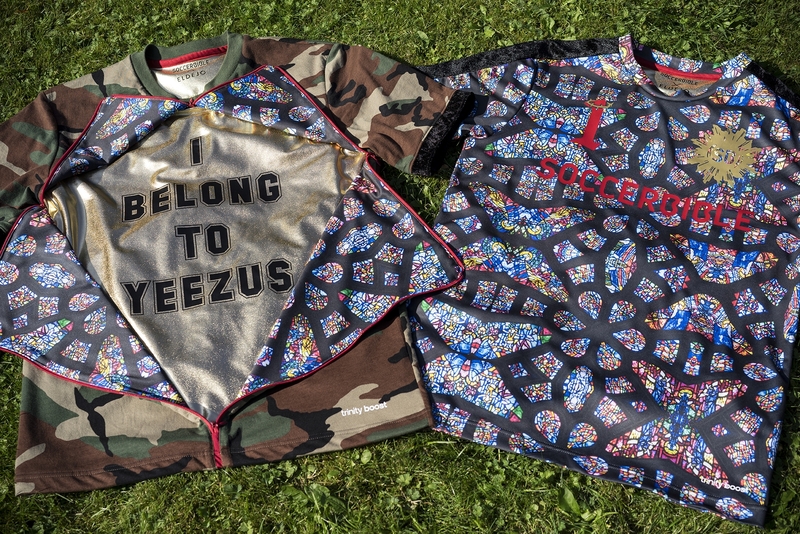 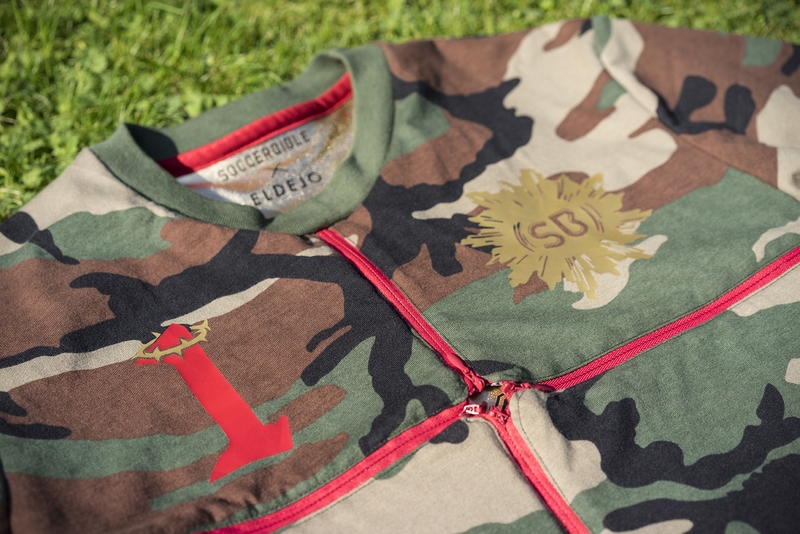 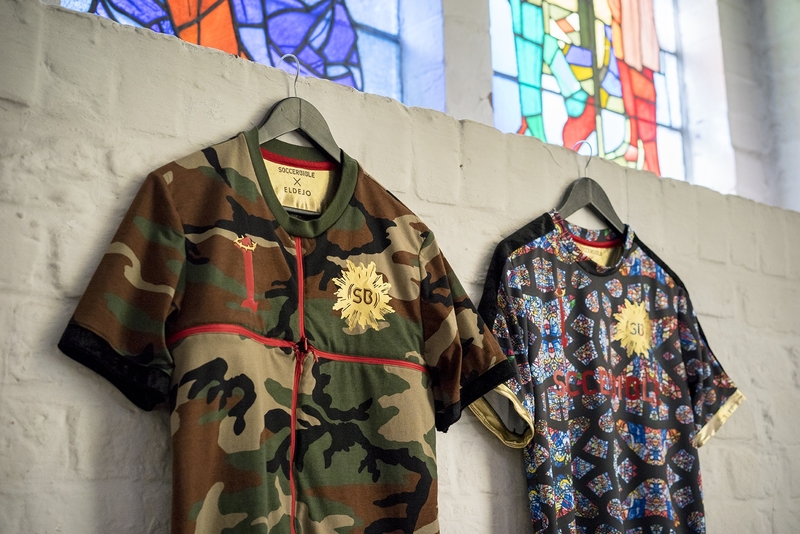 Two football shirts were born out of the idolatry in religion, football, and fashion, where the mashups of the three inspirations resulted in tongue-in-cheek commentary, not necessarily a sober take on any individually. 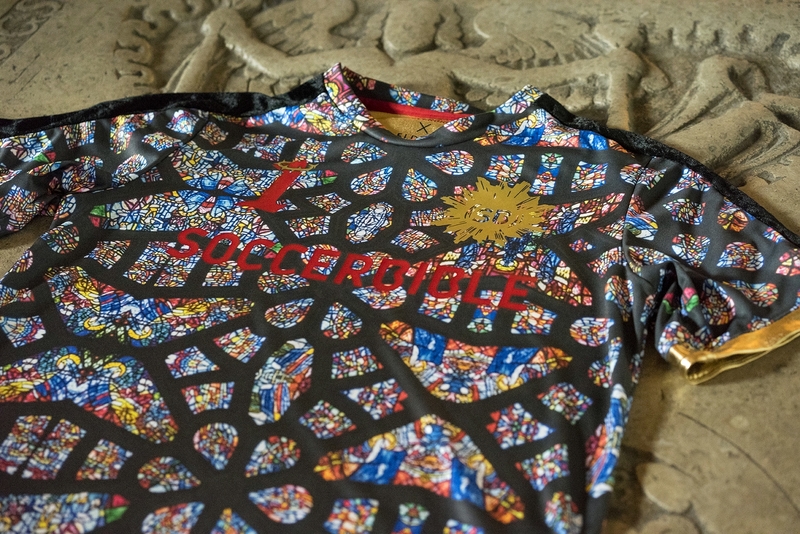 SoccerBible is the purveyor of football cool, hence, the inclusion of Yeezy(Kanye West) to downplay the gravity of religious iconography. 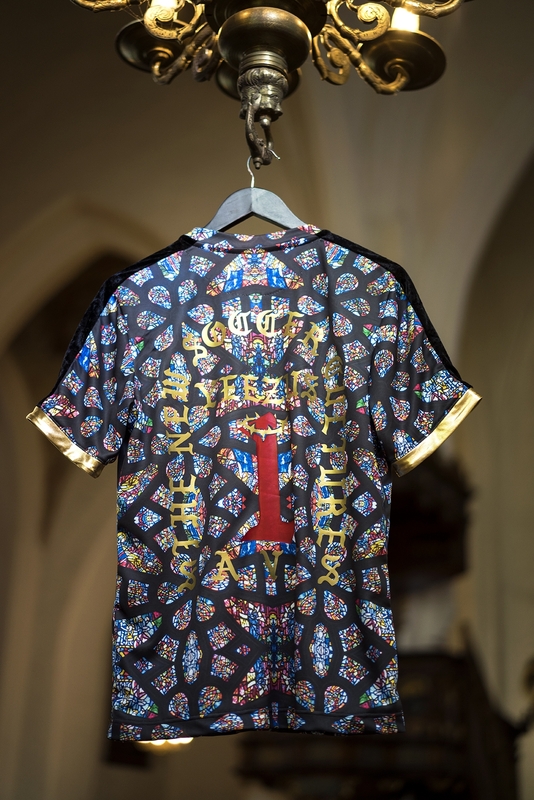 The number one represents the goalkeeper’s number as a reference to the ubiquitous football graphics of Jesus saving a shot on goal. 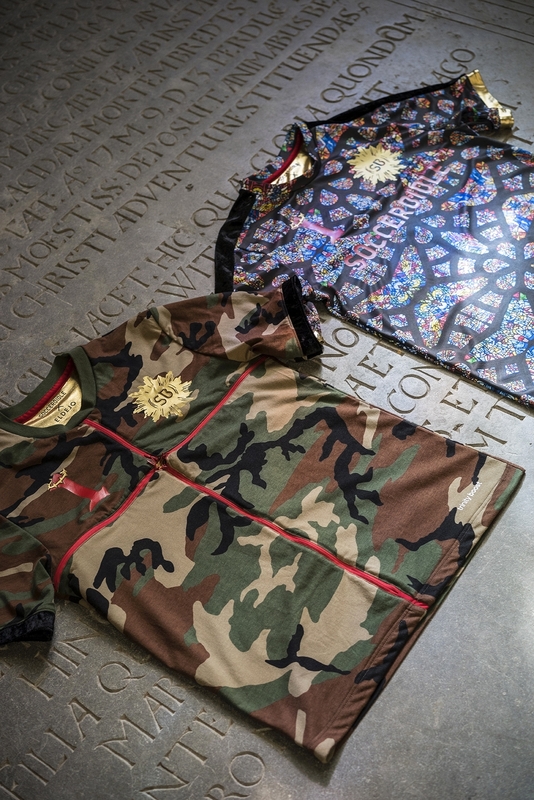 The materials are inspired by religion and fashion with the use of velvet and gold. 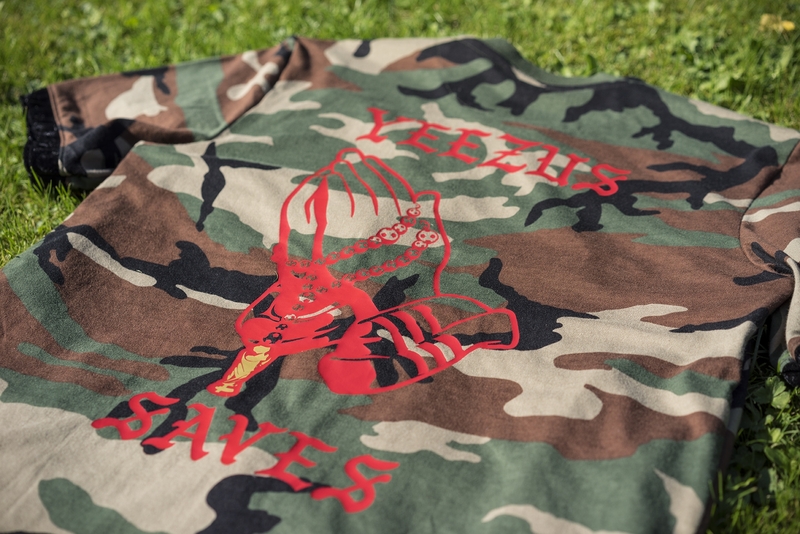 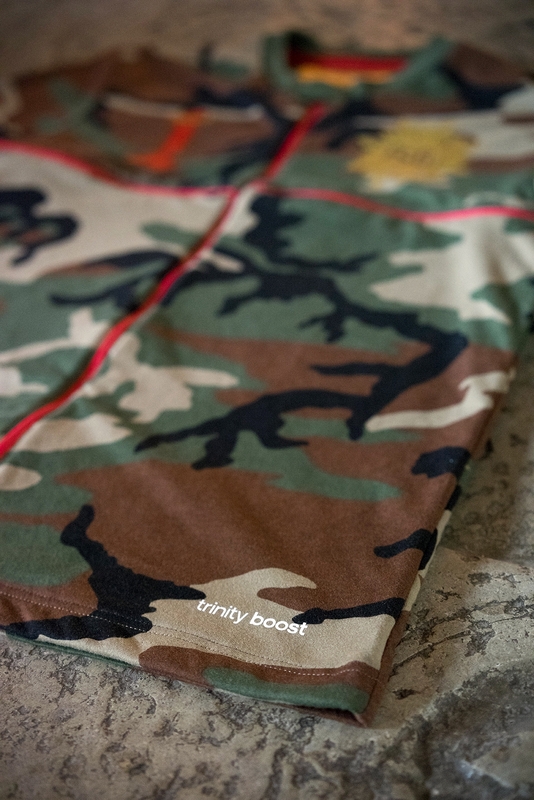 And the shirts are powered by “trinity boost” technology, another reference to Mr. West.